The new Canada’s Food Guide was revealed this week. Among the changes, it is the first time that the guide has been presented in a plate format that has some nutrition and health experts excited about the picture perfect representation. For runners, food is fuel, and in order to go the distance, a solid nutrition plan or a roughly outlined framework can make or break your next PB. 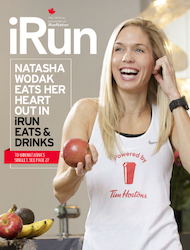 Here’s the rundown on the latest version of Canada’s Food Guide and how it can help take you beyond your next finish line. While making smart food choices is key, how much we eat is just as, if not more important. With fruits and vegetables taking half the plate, whole grains and a variety of protein-rich foods are each one quarter of a new balanced diet, and there’s a clear desire for Canadians to eat a variety of food. Runners already know that water is a big deal. Without proper hydration in any weather, you’re in big trouble. This time around the Food Guide calls out water as the main beverage of choice for everyone. While sport and electrolyte drinks have a place after more than an hour of running, unless you’re training for long distances or running a marathon, your body does best with what’s on tap. Plain and simple. Canadians can never eat too many fruits and vegetables. In fact, most of us are hard pressed to get in the currently recommended 7 to 10 servings. It takes effort, and maybe some extra planning, but it’s not impossible. Reaching for apples and oranges and tossing spinach into your morning smoothies are pretty basic ways to maintain a balance of vitamins, minerals and nutrients, and stay fuelled—whether or not you’re in training mode. You’ve heard it somewhere before, protein is the building block of life. That said, even health experts have found that we don’t need as much as we originally thought. Even more of a change in the Food Guide are the basic options for protein. Lean meats and fish are still on the plate, but options also include a focus on nuts, seeds, beans, lentils and soy products. Vegetarian and vegan athletes (including runners) are increasingly more common, and even elite athletes have proven you can go the distance without a huge chunk of steak. It’s official, the cows have been let out to pasture. That is all. While that’s not exactly true, dairy is no longer one of the food groups with a recommended number of servings as it once was. That said, low-fat dairy is still part of the Food Guide among protein food options. As runners, we know that low-fat chocolate milk is a great recovery drink, and low-fat greek yogurt is a terrific protein source, so you’re likely to still find these foods at the finish line, along with your favourite bagels and bananas. Currently, the Dairy Association is aiming to amend these guidelines and milk and dairy products remain in the news. What do you think of the Food Guide changes? Will they change how you eat, what you drink, your approach to how you train? 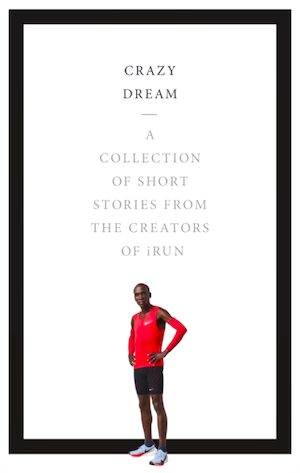 Let us know, as the first iRun Eats & Drinks issue drops online March 1.